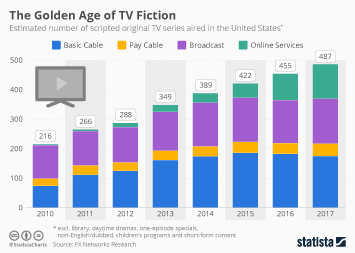 What Keeps Americans From Cutting the Cord? 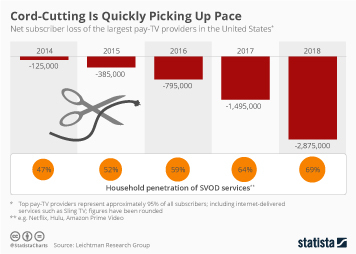 Contrary to what many experts had predicted years ago, cord cutting, i.e. 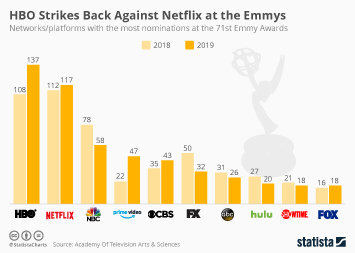 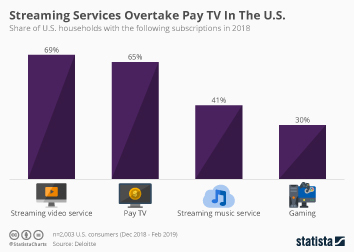 the cancelling of traditional pay-TV subscriptions in favor of on-demand video streaming services, has not become a mass phenomenon in the United States yet. 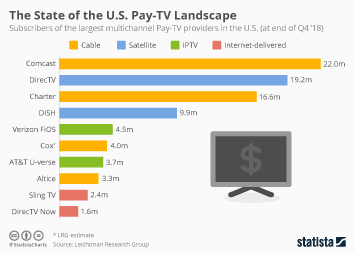 According to Leichtman Research Group, the largest pay-TV providers in the U.S., representing roughly 95 percent of all subscribers, had 91.3 million subscribers by the end of Q2 2018. 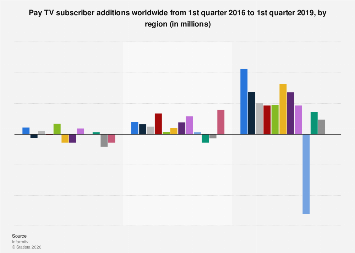 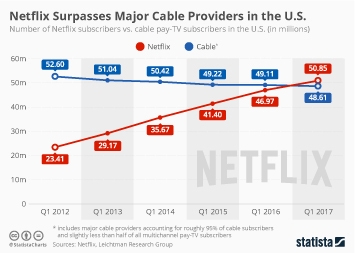 While this is a decline of more than three million subscribers since Q2 2015, it is by no means the mass exodus that many had anticipated once Netflix, Amazon Prime and other online services would reach mainstream adoption. 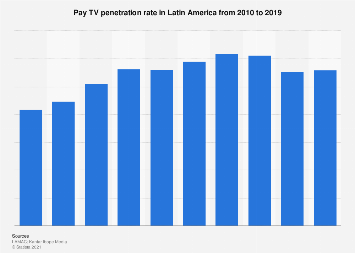 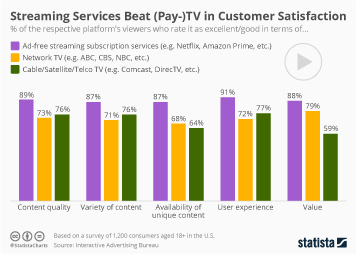 While the rise of online video has certainly not made things easier for pay-TV providers, the majority of consumers seem unwilling to give up on their pay-TV subscription just yet. 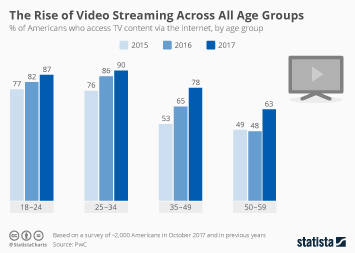 According to research from GfK MRI, almost 71 percent of U.S. consumers have cable or satellite TV service and no plans to drop it. 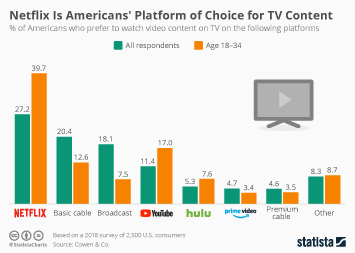 Asked about the most important reason for “keeping the cord”, 18 percent of the respondents said they’re simply used to it, while 16 percent cited the convenience of having all their channels in one place as the main reason to keep their pay-TV subscription. 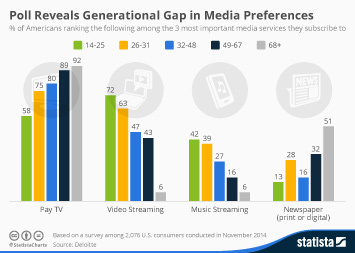 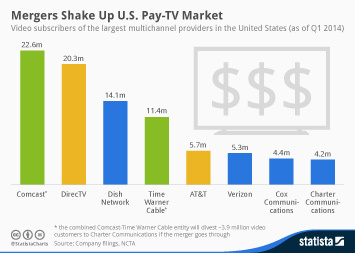 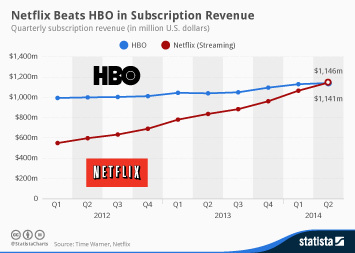 This chart shows the most important reasons for Americans to keep their pay-TV subscription.